Reading is a very important part of our lives. We are well known at our library, review books for various authors and publishers, and then pick up some more books in our spare time. I’d like to share with you some great reading challenges for children and young adults coming up in 2012. An Illustrated Year: 2012 Picture Book Reading Challenge, hosted by An Abundance of Books, is a wonderful challenge for any family with young children or anyone else who loves a beautiful picture book. All you have to do is sign up, put the badge in your blog sidebar, and write a post about your participation to link back to the challenge. Then you are all ready to read and review some of your favorite books. There are three levels of participation, but the top level is only 24 books. We check out more picture books than that in one trip to the library. I have no doubt that we can find 24 picture books to review during the year. 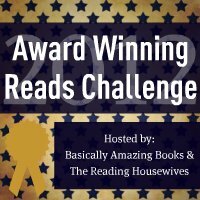 The Award Winning Reads Challenge co-hosted at Books from Bleh to Basically Amazing and The Reading Housewives is one of my favorites. Whenever I’ve been at a loss as to which book I should read with my children, I’ve never gone wrong by picking up an award winner. You don’t have to have a blog to participate in this challenge, and you get to set your own goal. Anyone can do this. If you aren’t certain, I personally challenge you to read one of these wonderful books with your children and let me know how you liked it. Both award winners and honoree books from the Newberrry and Printz lists from any year count. 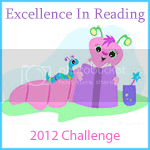 If you are at a loss to what books you might enjoy reading with your children in the upcoming year, check out the Excellence is Reading: 2012 Challenge hosted by the Super Readers Book Club. There you will find a list of books for the challenge, including many of our favorite books. 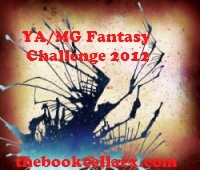 Erica at The Book Cellar is hosting the YA/MG Fantasy Chalenge 2012, challenging readers to dive into 10 YA/MG books published in 2012. She has even provided a list of some of the new books coming out. I loved last year’s YA challenge and am looking forward to reading more great new books again this year. 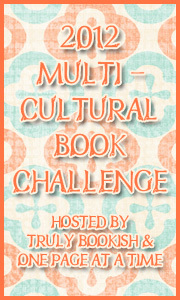 Truly Bookish and One Page at a Time are co-hosting the 2012 Multi-Cultural Book Challenge. Can you read and review one YA book a month? Join in! This is such a fun way to explore new cultures on your own or with your children. Reading multi-cultural fiction has heigthened my children’s curiosity about many different cultures, begging us to explore facts about the cultures in depth. 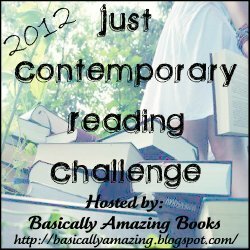 Don’t forget the 2012 Just Contemporary Reading Challenge hosted by Basically Amazing Books. Young adult books are often overlooked by adults. However, there are a lot of really great stories just waiting for someone. Not all of the details are available for this challenge yet, so I can’t wait to hear more. And I totally agree w/ you about the Award Winners. I haven’t loved all the winners I’ve read, but the vast majority of them have been amazing! Thank you so much for signing up. It’s so nice to see a family that shares reading together. As an elementary librarian I can tell you that children really value that story time with their parents. I look forward to reading about your book selections.